the success of our adoption program! All of our dogs and cats live in foster homes until they are adopted. That saves us money because we don't have to pay boarding or shelter fees. It also gives our potential adopters a more realistic idea of what that pet is like, and allows us some time to teach the dog or cat how to be a good family member. Fostering is fun, rewarding, teaches responsibility and costs virtually nothing. Fostering allows you to experience the love and devotion of a rescued dog or cat. Fostering can give your family a "trial run" to help you decide if you're ready to take on the responsibility of having a pet. 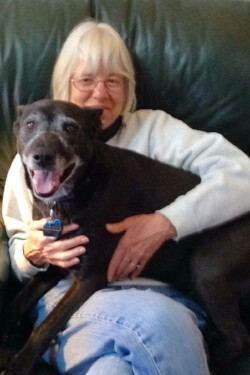 Our fosters are young, old, single, couples, families, - anyone with love and patience to share with a homeless pet! cats in their homes until they are adopted. You decide who you want to foster and for how long. All of the animals in your care are fully vetted and we provide any needed follow-up care. 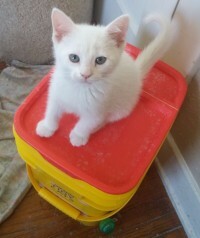 Sometimes we have food donations for your fosters, too. We provide advice and support when needed. We provide advice and support when needed.You are assigned a mentor to help you on your new adventure. Foster parents provide a loving home, a warm bed, and good food for a dog or cat who, perhaps, has never had any of those before. Foster parents give us, and potential adopters, valuable information. They prepare a pet for his or her forever home! 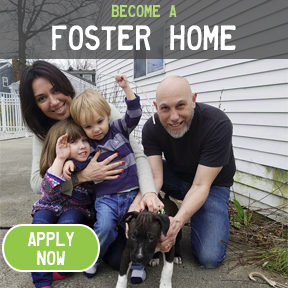 While we prefer that you bring your foster dog or cat to as many adoption events as possible, we also have fostering opportunties for people whose schedules don't allow for regular event attendance. 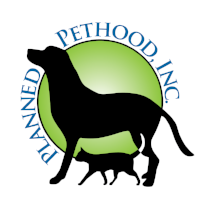 Planned Pethood wants the best for our animals and that means the best homes while they are in our foster care. Please take the time to fill out our complete foster application form.